Earth-like planets in order of their distance from the Sun. 3 phases of water - gas, liquid, and solid. 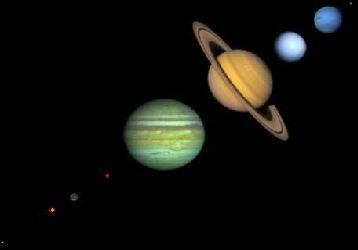 Jovian planets in order of their distance from the Sun.